Schedule II of the Central Goods & Services Tax Act, 2017 lists activities which are to be treated as supply of goods and supply of services. 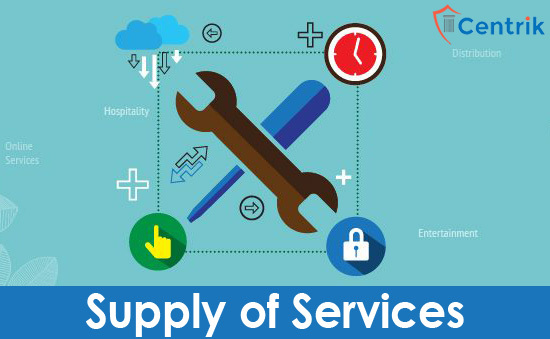 In this regard, activities which form part of supply of services are discussed below. Transfer of business assets Where, by or under the direction of a person carrying on a business, goods held or used for the purpose of business are put for any private use or made available to any person for any use other than for the purpose of business, at the direction of the person carrying on the business, whether or not for a consideration. Composite Supplies (1) Works Contract as defined under Section 2(119) (2) Supply of goods as a part of any service or in any manner, being food of any other article, for human consumption and daily drink, where such supply or service is for cash, differed payment or other valuable consideration.